Today I'm once again linking up with Our World Tuesday, a meme that encourages bloggers to share images of their world. It's a great way to get a glimpse of life through the eyes of others! You can find out more about it here. Even if you don't participate, I encourage you to take a look at the intriguing pictures that bloggers from around the world share each week. This week I was inspired by fences. Do they keep others out—or us in? you can fence yourselves in, but you cannot forever fence it out." Adorei a inspiração, a frase é fantástica para a imagem! O mundo é muito mais do que podemos cercar. Um abraço! That wooden fence wouldn't keep anything out. Guess what Tolkien is only buried about ten miles from where I live. The fence makes me laugh as I hav ejust fitted a set of gates to keep people out and the dogs in. I assume you've been to his gravesite? Too funny about the gates! excellent question... perspective of the moment I suppose. Great photo! Maybe they're for doing both. Keeping others away and preventing us from going too far from safety. nice fences - the holes are big enough to just fit a camera lens through. If you're up for feeling philosophical, find Robert Frost's "Mending Fences" and August Wilson's play "Fences." I always loved teaching those 2 together. I've read Frost's poem but not Wilson's play. I'll check it out. Thanks! Nice composition with the fence line, I like. That is a really cool picture! I love the picture & the quote. 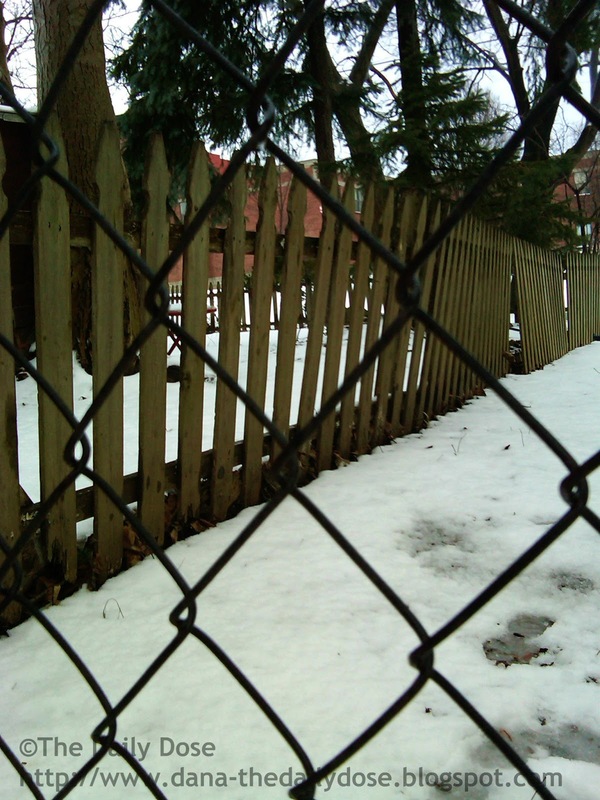 I have written poetry about fences, walls and barriers. Nicely done. Funny you mentioned it, I'm putting one in right now. Mostly because it's the law when you have a pool but my husband is all about privacy and I'm sick of putting my dog on a leash so I suppose it's there to keep strangers out and my dog in! Intriguing thought... and a great quote by one of my favourite authors. "Don't fence me in"! Great composition. What a great pic! Love your world. I don't know kind of both. They just set up a fence that let's you in and out of my neighborhood to the sidewalk that leads to the trail. It's not locked and it doesn't really protect us from the outside world, so I kind of feel locked in and locked out at the same time. Look forward to your challenge posts again this year! Please consider putting up the 2013 Challenge badge so it is easier to identify your participation. Great pics. I prefer coming up against a fence to a brick wall! Nice post. People who use fences keep themselves in as well as others out. Fences are interesting both to ponder and photograph. interesting to think about....I am not sure! Sometimes fences do matter...anyway a novel thought. Literally and metaphorically, I really think they do.